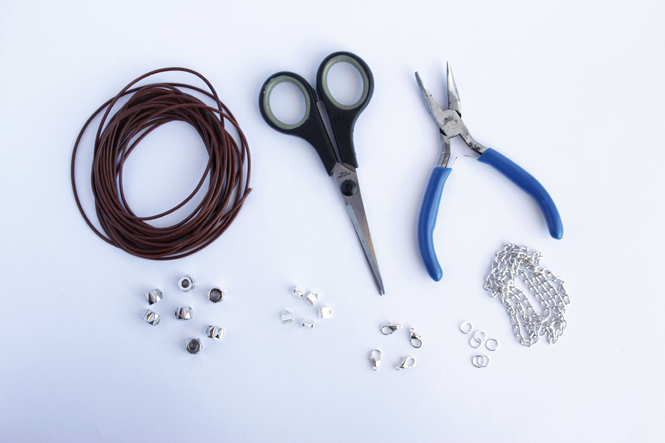 Some time ago, I received an email from endlessleather asking me to make a diy using their supplies, and after browsing thru their site, I was really excited to work with them. Deciding on what I wanted to create was the hard part, there were so many kinds of leathers that my mind kept thinking of alternative ideas instead of focussing on just one. 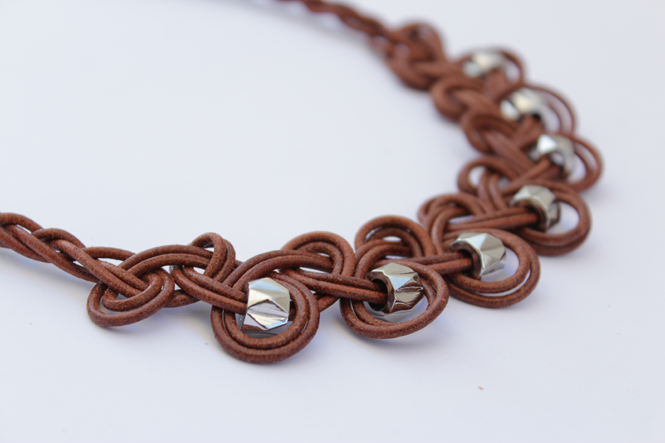 Finally, I decided on making this knotted necklace, that I learned to make a couple of years ago. I also made a video explaining every step, but if you are not a video tutorial fan or you can't watch it on your computer, the step-by-step is below. Cut the leather into 4 parts with about one meter each. 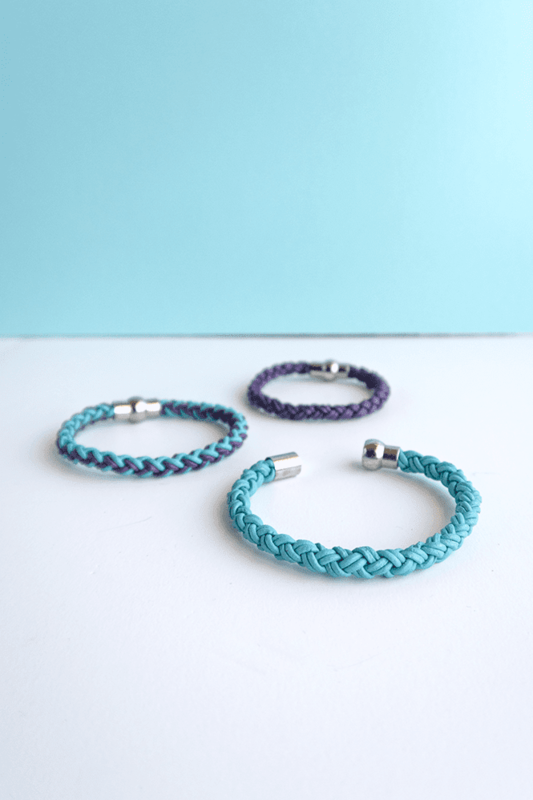 Make a 4 strand braid with 12 cm or 4.7 inch in length. 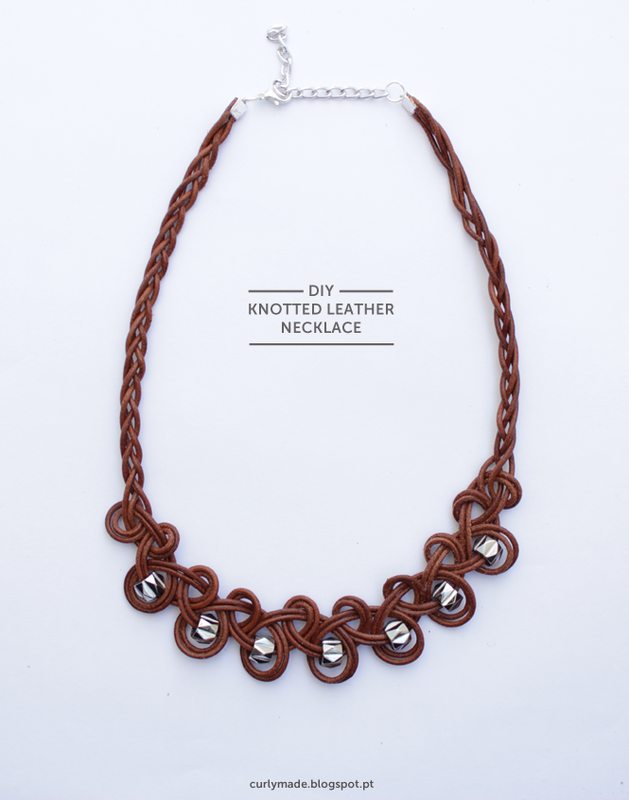 This necklace is composed of a series of loose right and left knots. 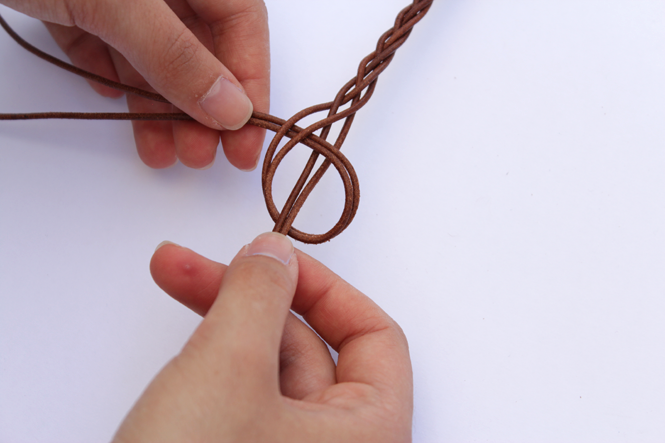 To make the right knot, secure the cords on the right side and loop the left cords around like in the picture. Do the same thing on the left side, secure the left cord and loop the right one around. After the first two knots you can start adding the beads. 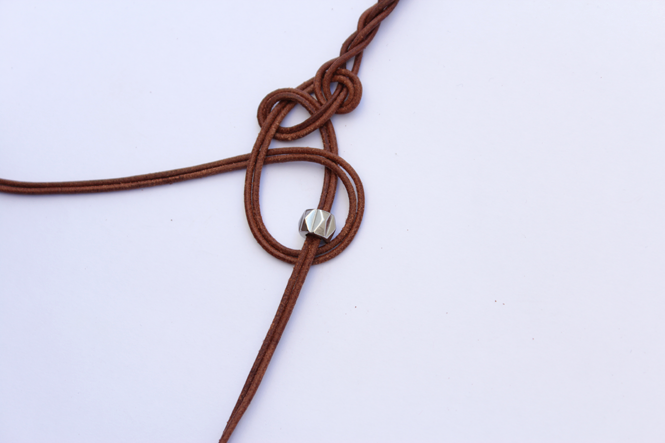 Slide the bead onto the cord on the right and hold it while looping the other string around it. 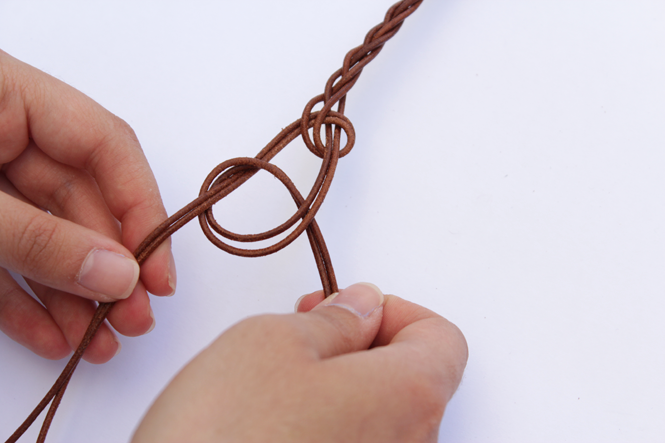 Next make another "empty" knot to the left and repeat the process. 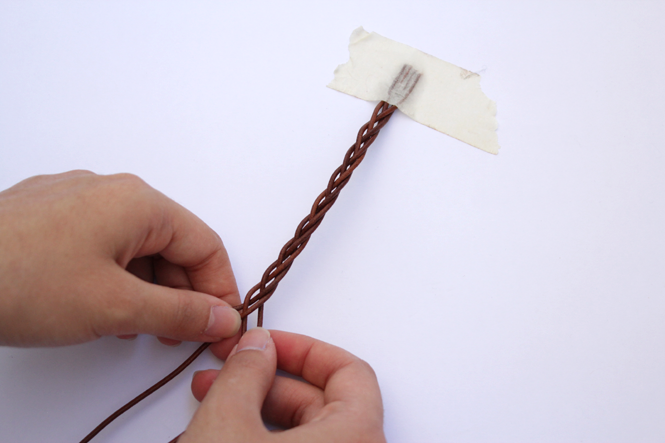 Use a crimp end to secure the cords on both ends, you can use a bit of glue to hold it better. 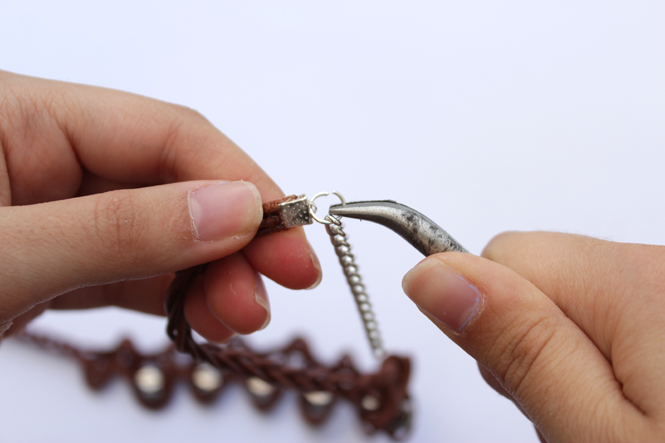 Finaly use a jump ring to attach a piece of chain at one end and a clasp on the other. 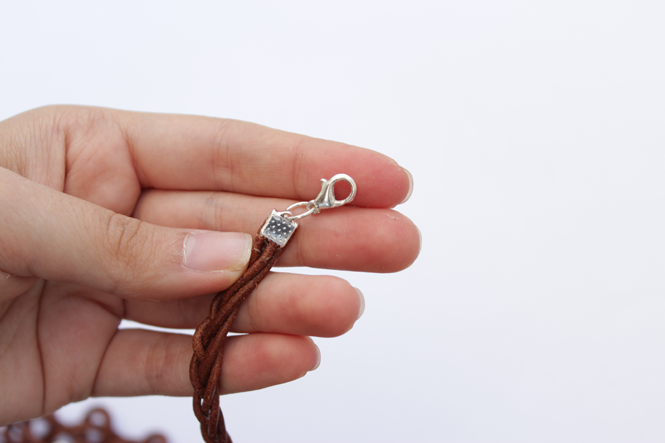 And your necklace is ready. Ps. 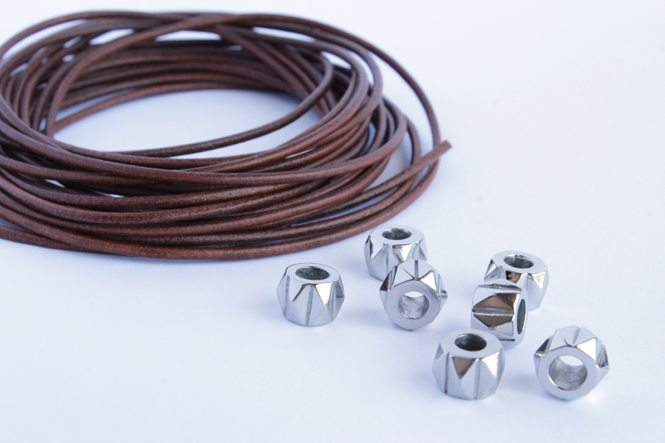 : As I sad in my intro to this post, the leather and beads were provided by endlessleather.com, although this post is sponsored all opinions and ideas are my own. This necklace would also look great using more summery colors, which ones would you choose? Very Chic!! You have a great eye for design and execution. I just love this design! It is difficult to find unique leather tutorials. Thank you for sharing your talent!